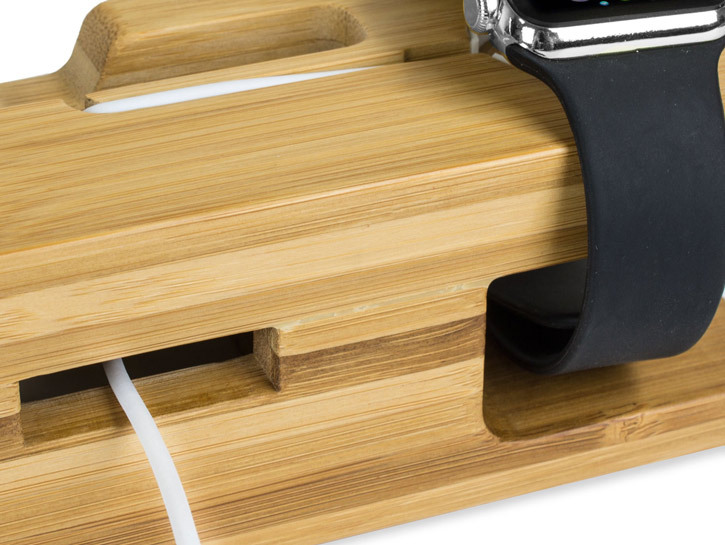 Display and charge your Apple Watch 3 / 2 / 1 with this beautifully crafted bamboo stand by Olixar. Also charge your iPhone with the additional docking position, so you can view notifications in comfort while your phone is charging. 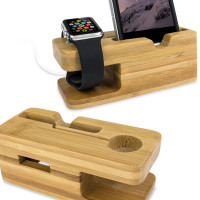 I bought this as a Christmas present for my partner so he had somewhere to put his Apple Watch and Iphone without having cables dangling everywhere. It looks great and sturdy. Not yet used as I stated it’s a gift but I am pretty sure he will be happy with it!! Thanks again! 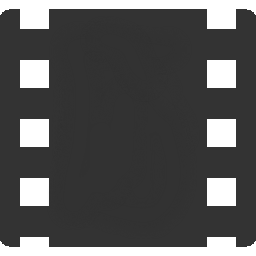 Great item very well made and does exactly what is says it does and looks great on my desk. 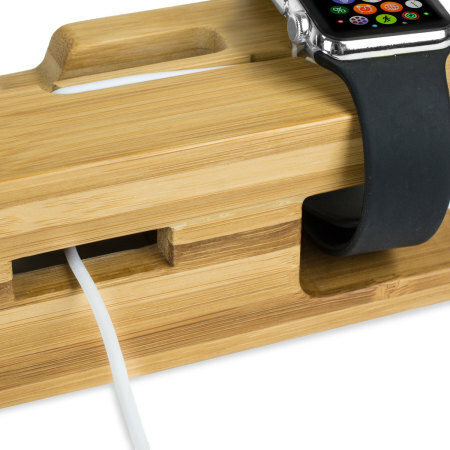 The Olixar Bamboo Stand is the perfect accessory for your Apple Watch Series 3 / 2 / 1 as well as your iPhone 5 or above, as it not only provides a convenient and secure docking location, but also you can use your existing charging cables and charge both of your devices so they are always ready for action. 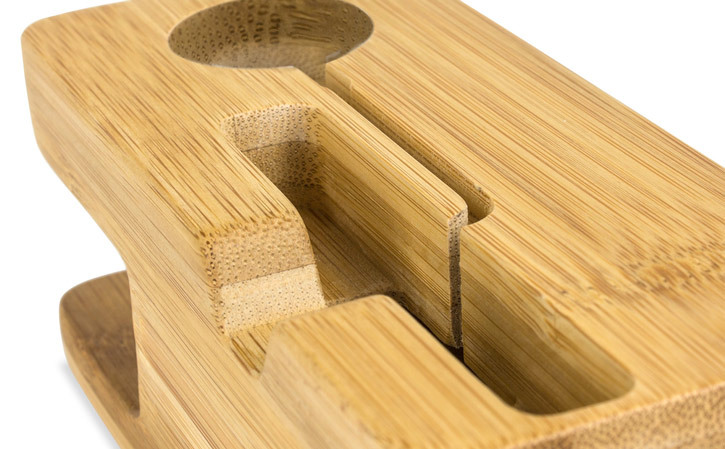 This classic style dock is made from real bamboo, providing a beautifully unique design. 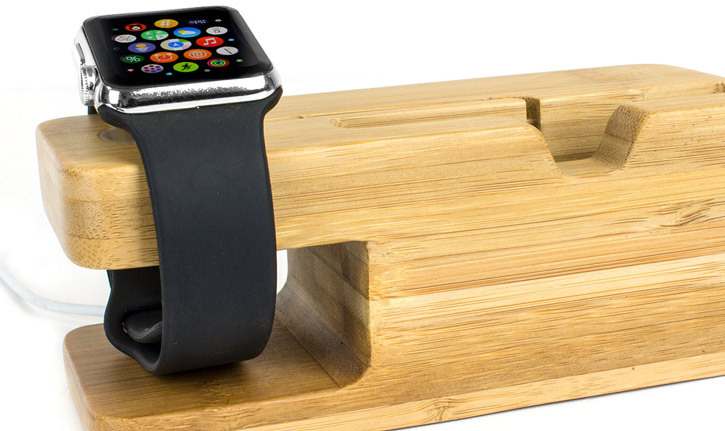 Lightweight, yet sturdy, it is a perfect addition for your Apple Watch and iPhone. 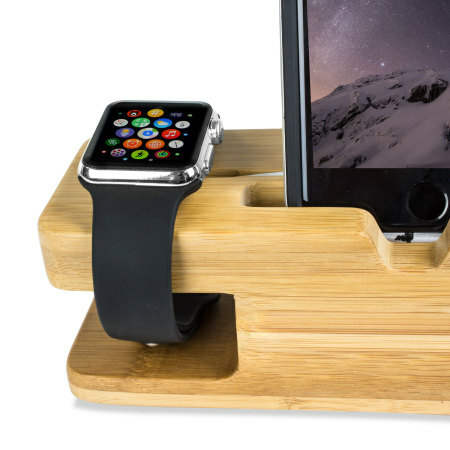 Rest your Apple Watch safely and securely with the Olixar Apple Watch Bamboo Stand. 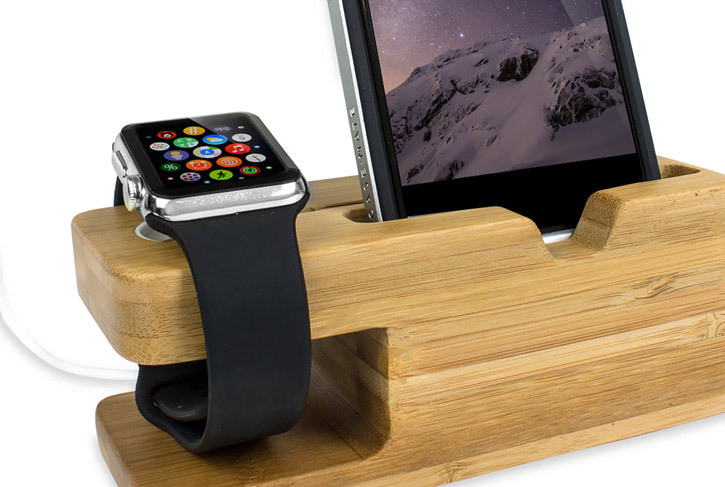 Place on the side of your bed, on your desk or in another location of your choosing so you can proudly and safely display your Apple Watch 3 / 2 / 1 while charging. Displaying your fabulous new Apple Watch should be effortless. Well, now it is. Just lay it on the cradle and you're good to go. 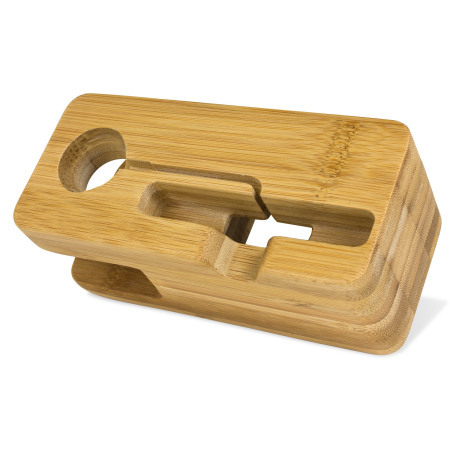 This beautifully crafted bamboo dock features a circular cut-out for an extra-firm hold while keeping the device within easy reach. 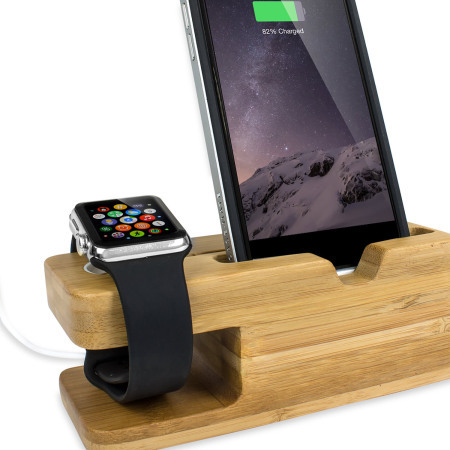 Charge your iPhone with your existing Lightning charging cable all within the Olixar Bamboo Stand. This ensures your iPhone is safe from harm while charging and in an easy to reach position. 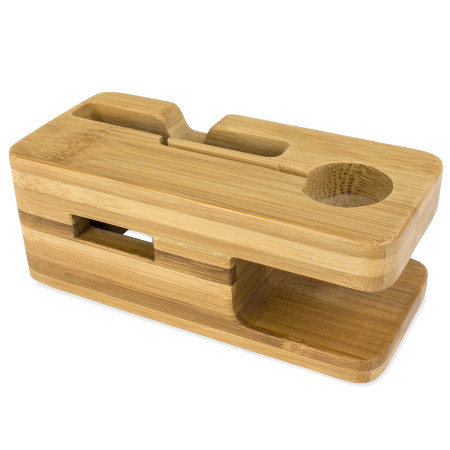 The Olixar Bamboo Stand can accommodate your iPhone with even a case on so you can dock and charge without the need to remove the cover. 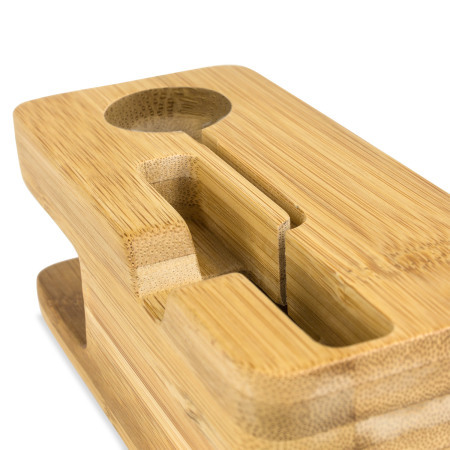 With your iPhone docked within the Olixar Bamboo Stand, you can view your notifications at a comfortable angle. 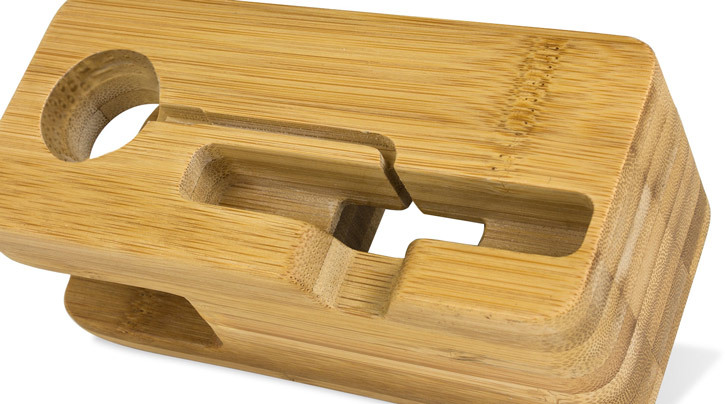 This is ideal if you have your Bamboo Stand on your desk to spot incoming emails or by your bedside if you use an alarm clock app for example. With the conveniently placed cut-out, the Olixar Apple Watch dock allows you to feed your own Apple Watch charger through the gap so you can keep your charging cable neat and tidy. 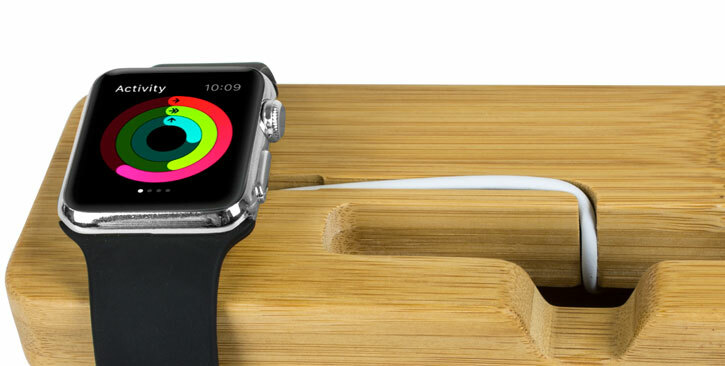 The Olixar Apple Watch dock also holds the magnetic charging head of the cable securely, for a safe and secure fit. Of course, the Olixar Stand also holds your iPhone and as you would expect the dock also features a cable tidy perfectly suited for your Lightning cable also. 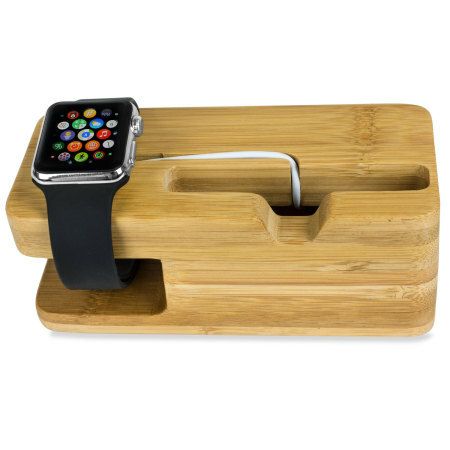 This minimalist stand has been designed specifically with the Series 3 / 2 / 1 Apple Watch and the iPhone 5 and above model in mind, so you can be sure it is a perfect accessory for your Apple Watch and iPhone.